Dear Mistress Barbie: My name is Jason and I feel I always have to hide my true self. I hide behind masks to disguise the person I have become. As a lonely hermit, I am quickly angered when people disturb me. The worst part is my controlling mother who is always nagging me and it’s driving me crazy. It seems like I am so unlucky, like every day is one long Friday the 13th. 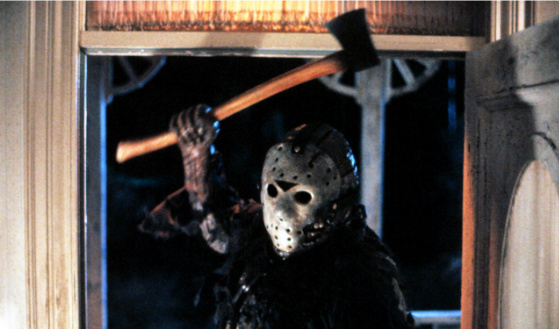 Sometimes I walk along Camp Crystal Lake to try to clear my head but often end up taking my rage out on the people around me. Blaming others for my life problems seem to be better then accepting the truth. I try to find creative ways to express my anger but others are not always as appreciative of my ability to slash through my problems. Often I feel lifeless and realize there are no words that will let me forget or make any of the things I feel go away. I have gone to hell and back trying to keep my secrets buried but they will not stay dead. The terrible nightmares I have keep me up at night. It’s almost like I am controlled by the demons in my dreams in which I have to fight for control. A mask is something we are not born with and those who decide to put one on comprise their own humanity. You do not want to be just another man in a mask. Save the mask for Halloween and get over your social phobias. Taking your frustrations out on the world is not going to fix the problems you have with your mom. It is time to examine your superstitious behavior and listen to the inner voices that are reinforcing them so you can see it as a sign that there is a problem in your life. You need to sit down with your mom and tell her how your special bond is making you psycho. Solve your problems instead of slicing them into submission! The energy you are spending to hide your secrets is slowly sucking the life out of you. The demons in your nightmare will only be as real as you make them. Only you can solve the puzzle box that you have enclosed yourself in and escape your condemnation of hell. « 2010 Trash Cinema Collective Blog Year in Review!